This tiny little squirt was in an overcrowded shelter in Louisiana. 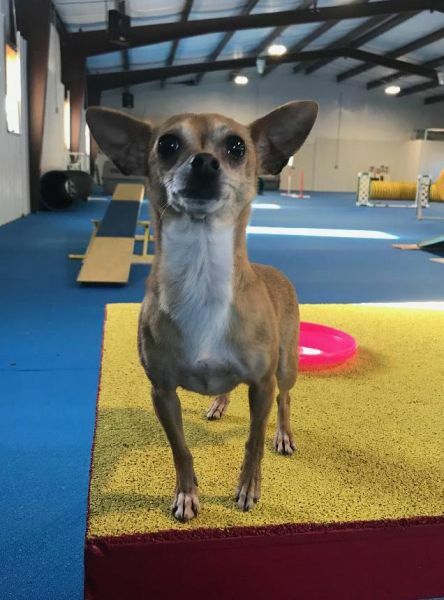 When the area was once again flooded during hurricane season, Tonie made her way to HUA so that room could be made in the shelter for newly displaced dogs. 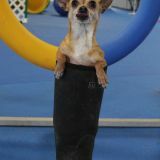 She is an adorably funny thing. 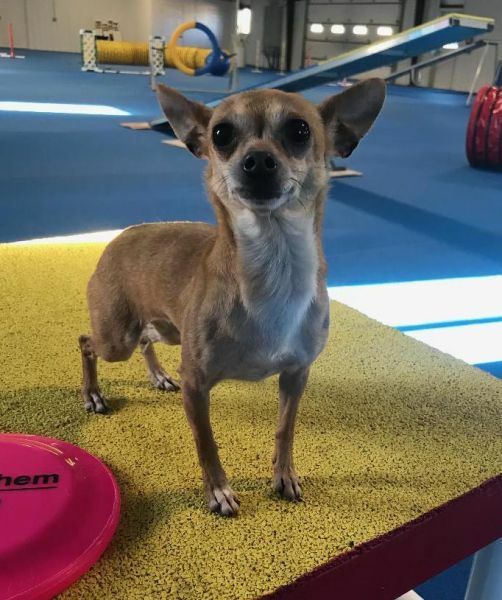 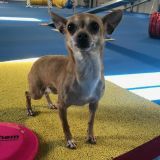 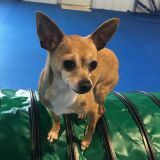 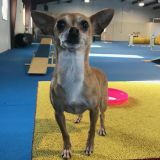 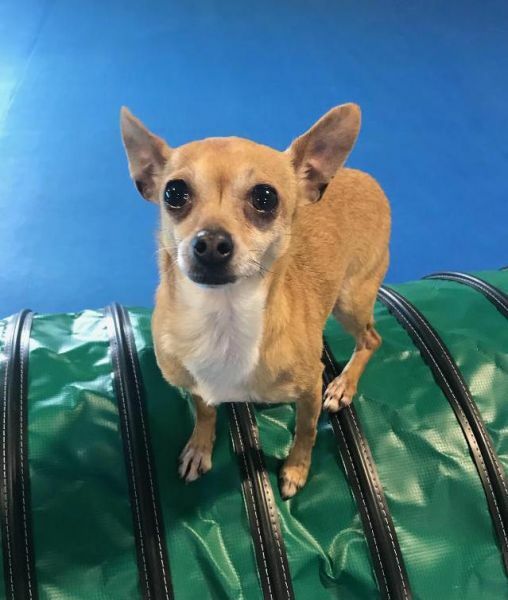 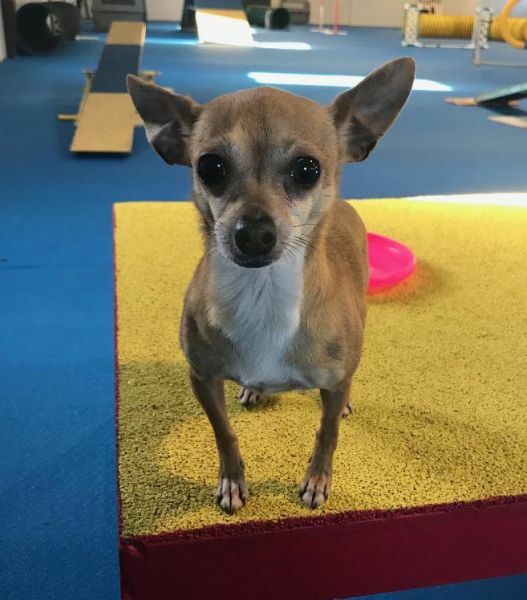 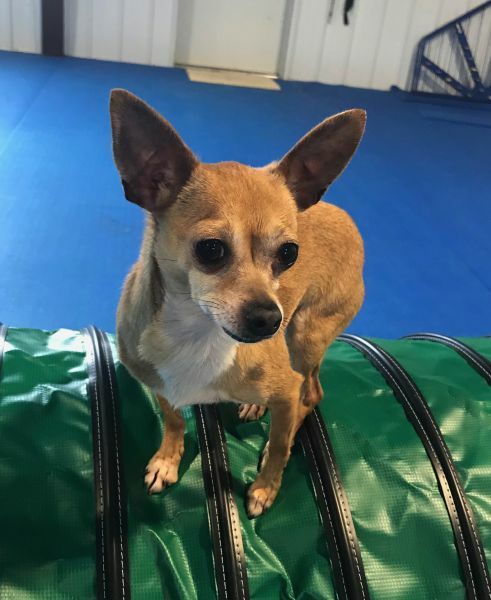 In the agility room, Tonie will play and run for miles, just loving the wide open space and fun equipment that is entirely too large for her. 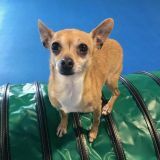 After a short burst of nervousness upon meeting a new person, as is typical for her breed, Tonie quickly becomes a best friend to the human in the room. 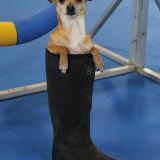 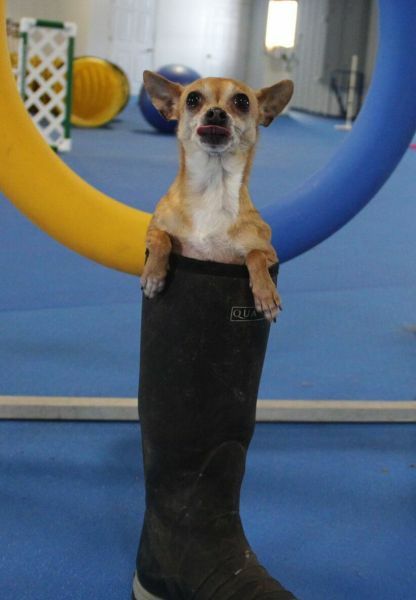 She likes being silly for attention--so much so that caregivers posed her in a boot and she thought nothing of it. 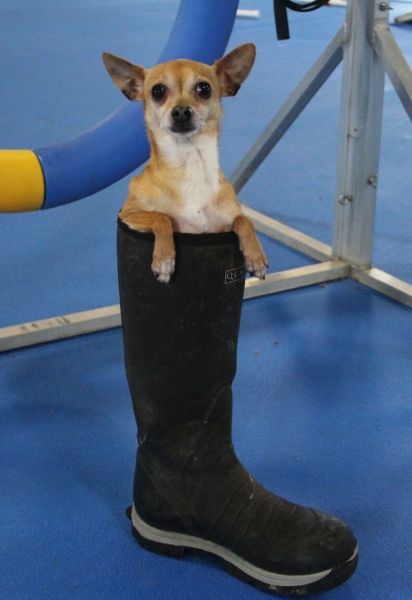 This girl is up for a good time. 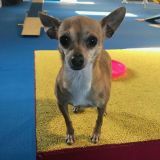 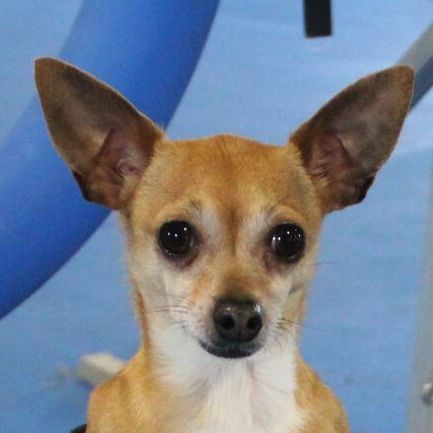 Tonie enjoys the company of other small dogs as well and shares laps like a good pal does.